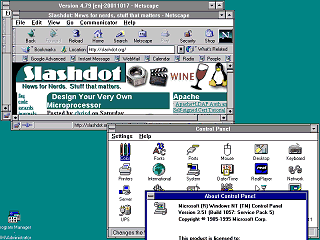 Windows NT 3.51 can run many of the same applications that Windows NT 4 can, but there are just enough differences and bugs in NT 3.51 that unless care is taken to develop and test with NT 3.51 the program may run but not correctly. Relatively speaking very few people actually used NT 3.51. 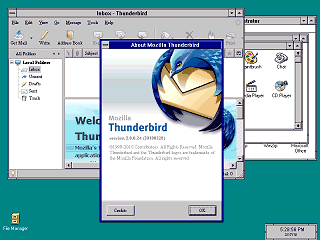 As a result many of the programs that actually need NT 4 or later to run don't bother checking the OS version. It also need a newer OLEAUT32.DLL file. 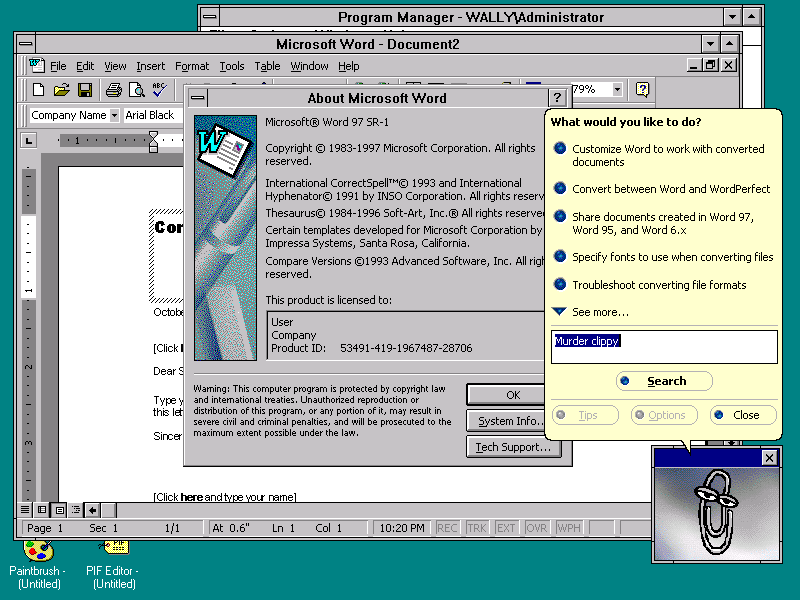 I have been using the one from the Windows 95 DCOM95 update. 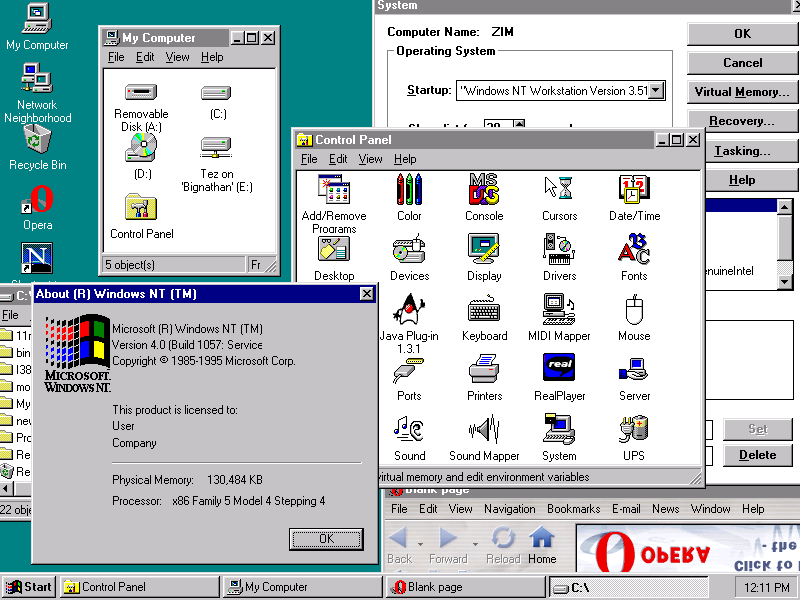 I do not know how stable that is since it was not meant for Windows NT 3.51 but it seems to work OK for me. SeaMonkey 1.1.19 is reportedly the last update to the 1.1.x line. 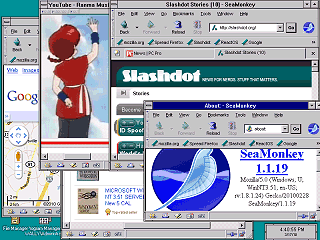 SeaMonkey 2 and later sadly requires Windows 2000+. 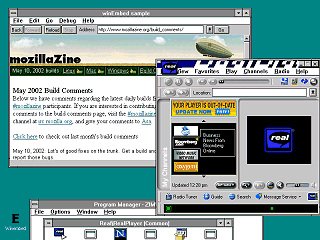 SeaMonkey 1.1.18 and 1.1.19 have a bug making HTTPS connection under Windows NT 3.51, 95, and NT 4. For fixes to this, see my Windows 95/NT 3.51 browsing fixes page. After that it seems to work perfectly. One other interesting thing is that the user agent actually detects and identified NT 3.51. Thunderbird 2 also seemed to run ok. 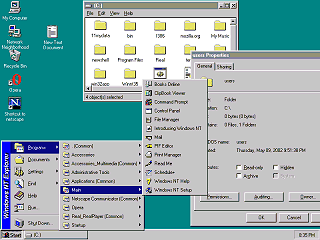 Note that the last several versions also need the freebl3.dll mentioned above to make it run properly under Windows NT 3.51, Windows 95, and Windows NT 4. Otherwise you will get a "could not initialize the browser's security component" error. Firefox 2 running under NT 3.51 (I had to delete nsSearchService.js and nsSafebrowsingApplication.js to make it run under NT 3.51 and 95) Flash 7 also runs great, as long as it has the NT 3.51 version of WININET.DLL (this DLL is installed with Office 97). 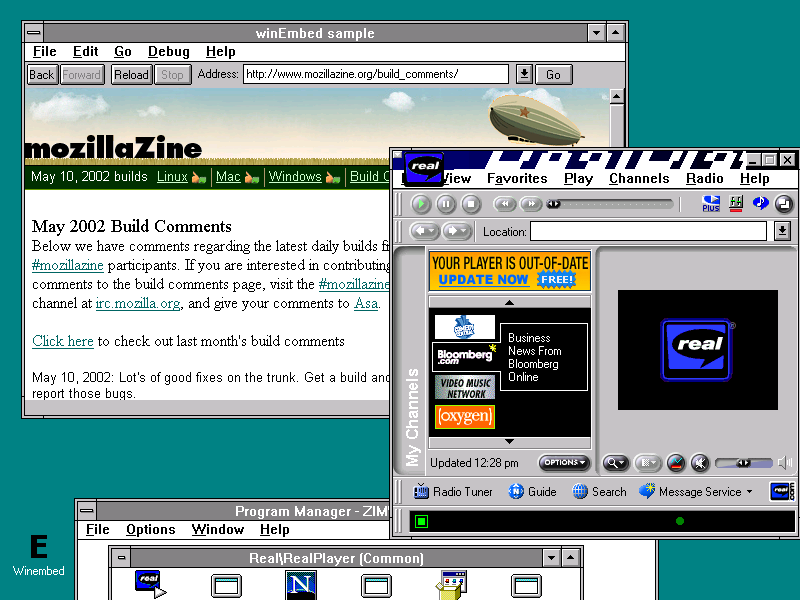 Netscape Navigator 4.79 seems to work perfectly, although much of the add-on fluff that ships with it doesn't. This old version of Real Player runs but doesn't seem to want to display anything when it is supposed to be playing video. The title bar effect it tries to do gets messed up in an interesting way. This is still NT 3.51, but running NewShell. 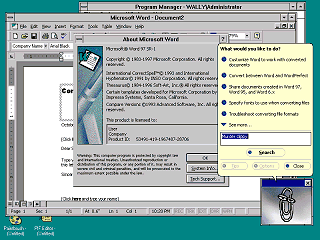 It's an alpha-test version of the NT 4 shell release by Microsoft about a year before NT 4 was released. I was thinking about making a section in my GUI pages for NewShell, but it really isn't that interesting. 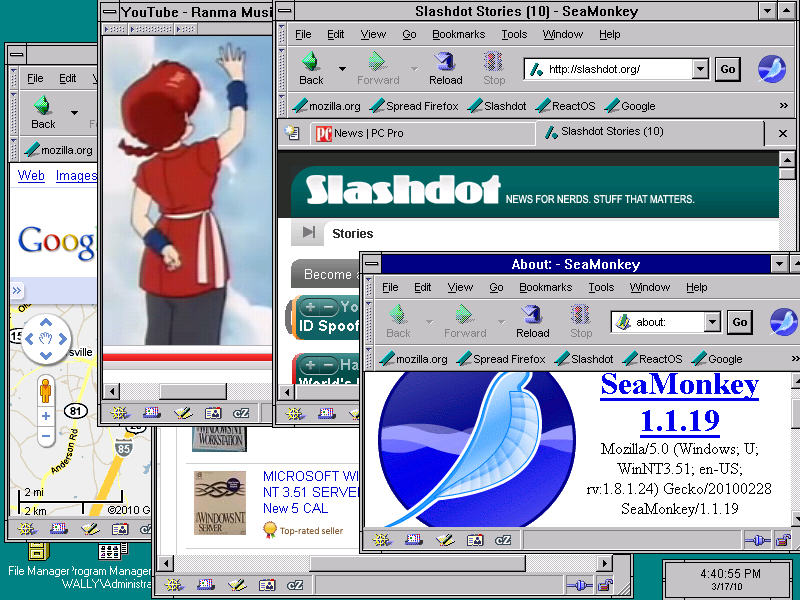 It looks and works just like the Windows 95 shell with just a few NTish things thrown in. It is also very buggy. Newshell 2 is the same as the original Newshell that has been floating around except it has a couple of minor compatibility fixes. Note: I suggest installing any service packs before installing newshell. One more picture of NewShell. 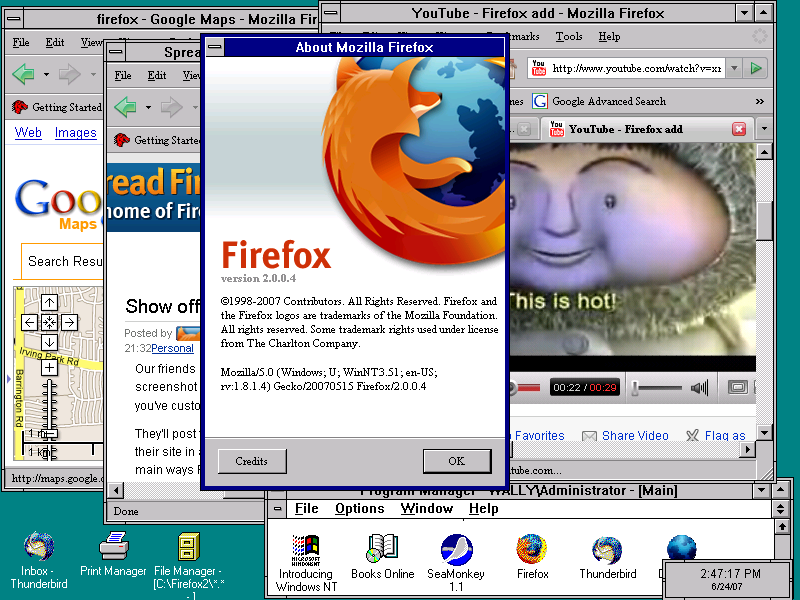 I also tried Opera 6.01. It starts to run but crashes when loading any page. I have no idea why the Opera banner is upside down. 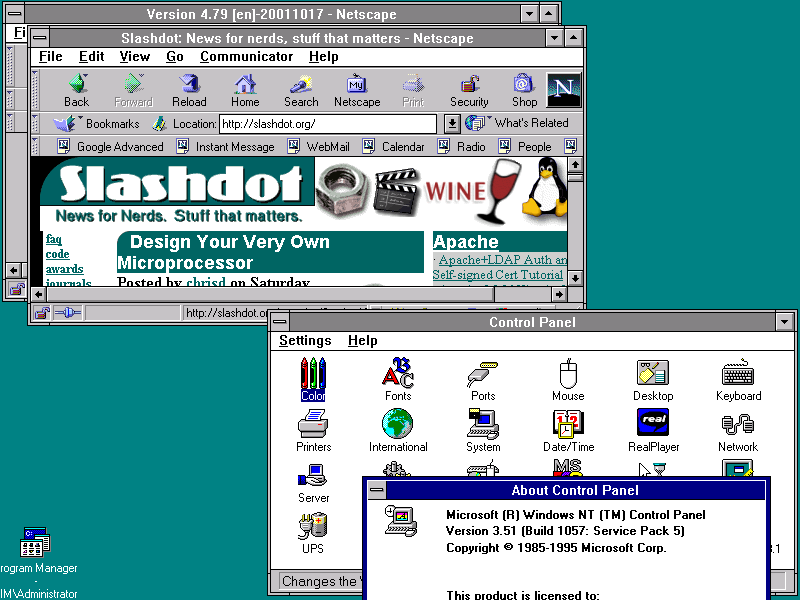 I also tried IE (yuck), but the 32-bit versions of IE do not run on NT 3.51 at all, MS only "supports" the Windows 3.1 16-bit version of IE under NT 3.51.